Back in 2010, an unusual gravestone was discovered in Chongqing, China. It featured a PC tower (with a Zip drive! ), a keyboard and mouse, as well as an open book. The gravestone was for a young man who passed away in 2003. Chinese site TTmop notes that computer tombstone was apparently the mother's idea because her son spent long hours in front of the computer, reading and studying. The book is the grave's marker, and has a Chinese death poem of sorts that loosely says, "The mountains are high and the clouds are white; they will bring my feelings to my son." 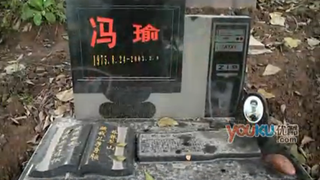 Here is a video of the tombstone from Chinese video site Youku. Today, Japanese site Byoukan Sunday uploaded images of the grave, which feels somewhat reminiscent of the Swedish tombstone with a young child playing Pokemon.